Last night RAW, it was a decent episode but the ending made it very memorable. Here are my thoughts on the highlights of the show as well as the results. 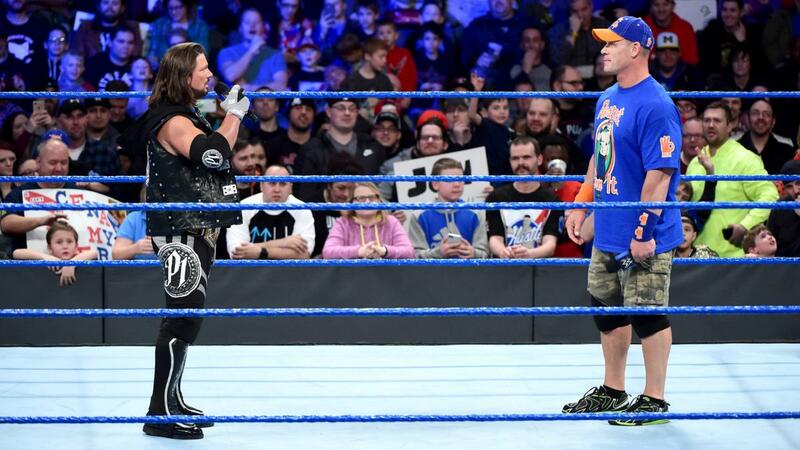 Stephanie McMahon made it clear to Mick Foley that he had to choose a wrestler by the end of RAW to fire. Fast forward to the ending of RAW Foley made his decision to fire Stephanie McMahon. All of a sudden things ended up getting personal as Triple H made his way to the ring. Triple H told Foley to be careful what he does because his kids want a career in the WWE. Noelle has aspirations of becoming a wrestler and as far as Dewey is concerned he works at the corporate office. The Game demanded that Foley leaves his ring, but he had difficult he put Mr. Socko down the chief operating officer throat. However, that did not last long as Stephanie gave Foley a low blow to stop the attack. Triple H wanted to finish the job but Seth Rollins came to Foley’s rescue. Seth Rollins dropped his crutch down he went into the ring with Triple H and it was on. 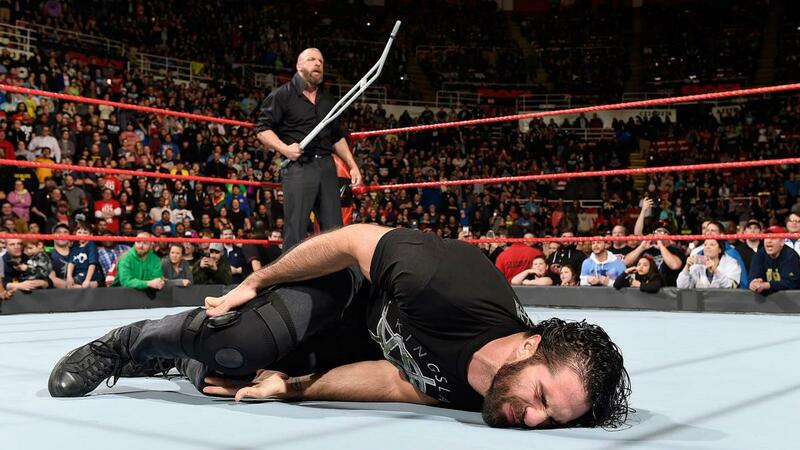 They don’t call Triple H ” The Cerebral Assassin” for nothing he grabbed a hold of the crutch and hit Rollins’ injured knee multiple. This followed as he locked in inverted Figure-Four Leglock on Rollins he was not able to stand. 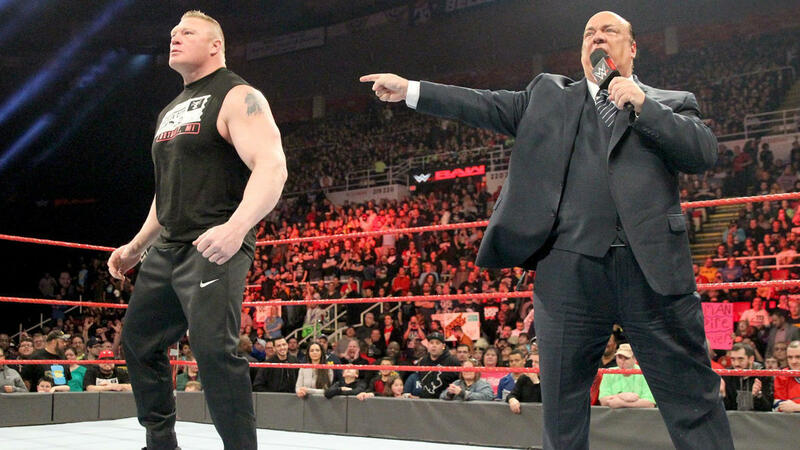 RAW opened up with the show with a bang as Paul Heyman brought out his client the “Beast Incarnate” Brock Lesnar. It’s funny how a week can shift all the momentum in another way. 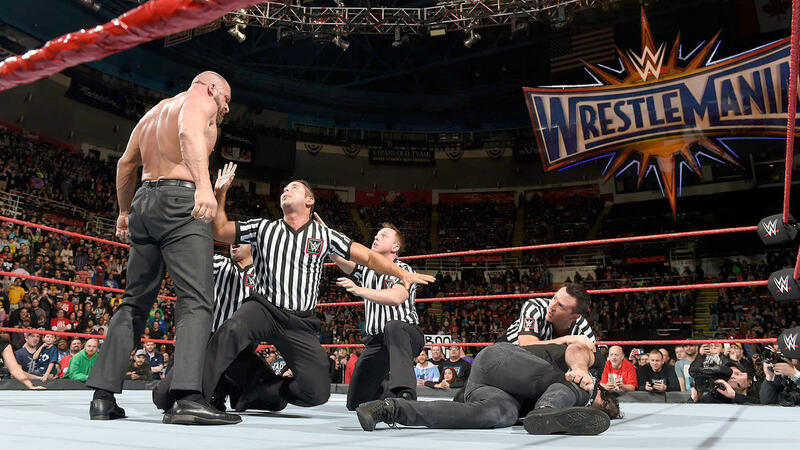 Last week Brock Lesnar connected with an F5 to take down Goldberg for the first time. Therefore Heyman was gloating and he stated that it will be the greatest resurrection in sports entertainment history come, WrestleMania. Heyman came up with this new equation as “The Theory of WrestleMania Relativity”: F-5 Brock Lesnar goes up, down goes Goldberg. This week Enzo Amore and Big Cass battled Cesaro, and Sheamus in order to figure out who is the new number one contenders for the RAW Tag Team Championships. This was a fantastic match and both teams left it all on the line as expected. However, the RAW Tag Team Champions Gallows and Anderson decided to interfere in the match this led to ending in a disqualification. After the match, backstage Mick Foley told Gallows and Anderson that it will be a triple threat match at WrestleMania for the RAW Tag Team Championship. ← Can James Harden carry the Rockets to an NBA Finals?